Capital Removalistshave years of experience in moving pool tables. Since our inception, we have moved several thousands of pool tables, including many famous brands. Years of experience, strong expertise, and a fabulous team of highly-trained pool table movers have helped us build an enviable reputation for giving best pool table moving service at the most affordable price. Moving a pool table is not an easy job, but you can count us to expertly handle your much-loved possession. There are so many things that should be considered and planned for before the actual move. Moreover, no two pool moving job is exactly the same. You need excellent pool table movers to ensure there’s no damage to your pool table when it is being moved from one place to another. 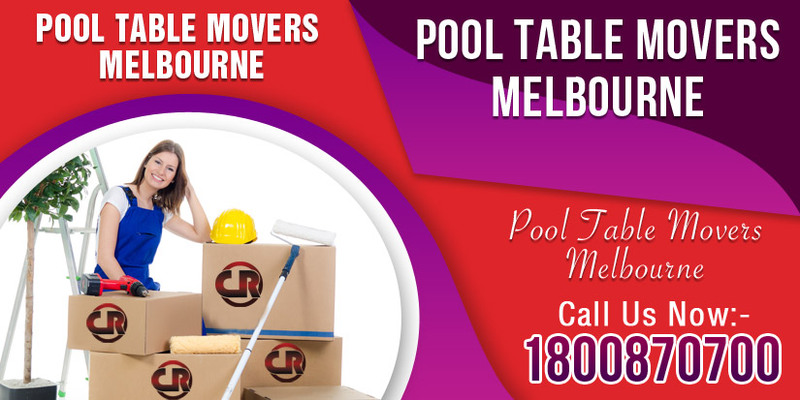 With years of experience under our belt, we are among the most recommended pool table removers in Melbourne. 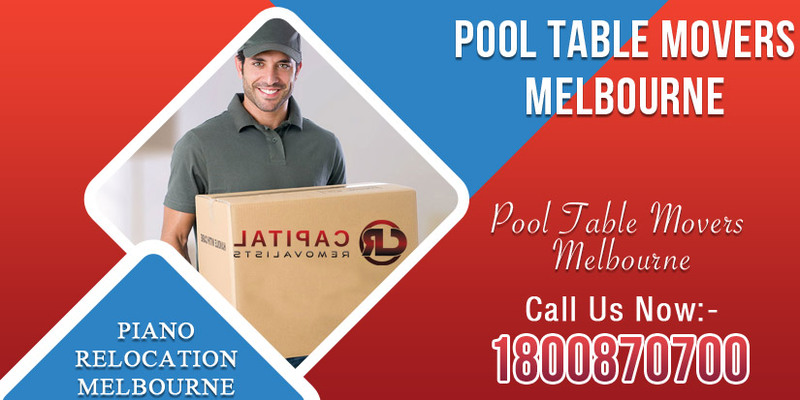 We take the guesswork and anxiety out of pool table moving, irrespective of the size of your pool table, the floor you live in, and the distance your pool table must travel to reach the new destination. A pool table is not a light item. Therefore, personnel handling them should be super-fit and strong. Additionally, even with the best of planning, sometimes decisions have to be made impromptu, and this is where experience comes in. Our pool table moving team not only is extremely strong and fit, but they also have several years of experience of moving pool tables. They can make quick decisions if the situation demands it. 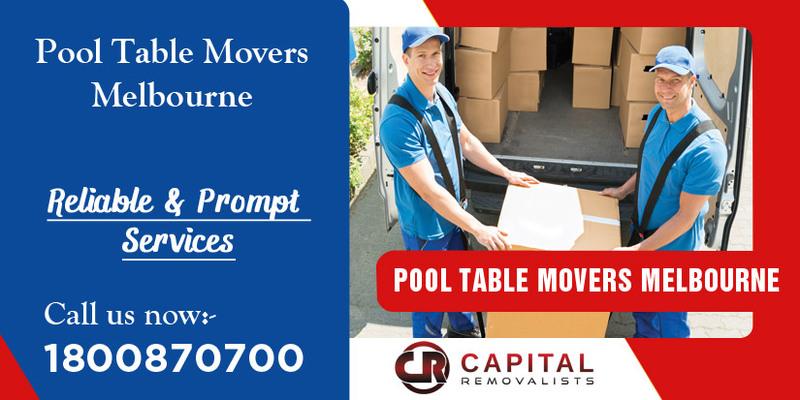 In short, if you want peace of mind, get in touch with the Melbourne’s premium pool moving company: Capital Removalists. 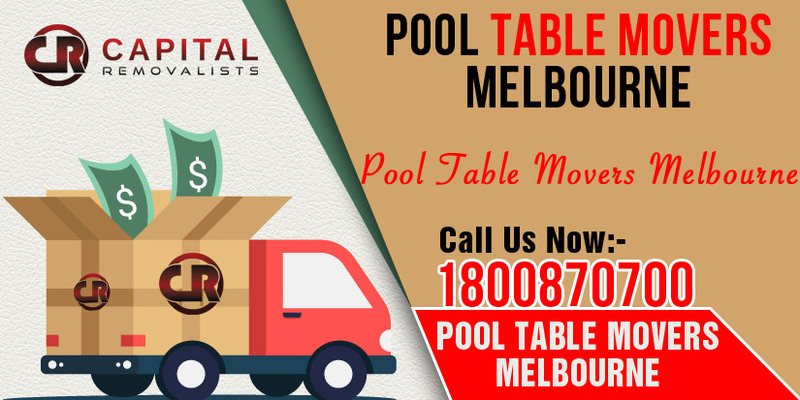 If you are looking for a team of highly-experienced, strong, careful, and professional pool table removals, you don’t need to look any further than Capital Removalists. We have the experience, expertise, manpower, and specialized equipment to safely and securely transfer your pool table from one destination to another. As you would know, pool tables require professional handling when you are relocating. A full-size pool table can weigh about 1000 kg. When moving a pool table, it is necessary to follow all set rules and regulations, have strong men in your team, and specialized equipment and a suitable vehicle. Given how heavy a pool table can be, a serious injury can easily occur if there’s even slightest of negligence while handling it. Therefore, you have a pool table removal need, what you need is a professional, strong, and trained pool table removals. Capital Removalists bring all these qualities to the table. Add to this, our years of experience of moving pool tables of all kinds, including many of the top brands, you have a team that’s best suited to handle your much-loved possession. Our team has done it all and seen it all. So no job is too tough to handle or no situation is too tricky to resolve for them. We can dismantle your pool table just prior to the move or a few weeks before you move out of your current location. Upon reaching the new destination, our expert pool table removals will also quickly and effectively reassemble your pool table. 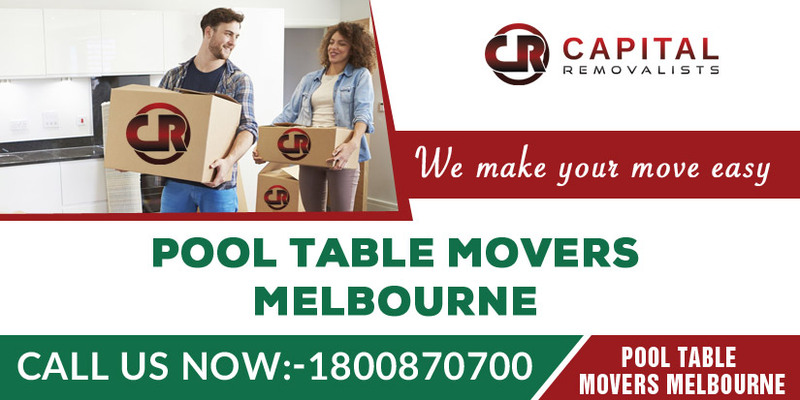 Whether you are relocating in Melbourne itself or in some other state, you can count on Capital Removalists to take excellent care of your pool table and relocate it with excellent care. Here’s the thing: If you have a pool table removal need, you can either go for an average removal service and risk damage to your prized pool table or rope in the best trained pool table movers in the business and enjoy complete peace of mind. If you want the latter—which we think you would, given how much you love your pool table—you must pick a top-ranking pool table mover like Capital pool table movers. What separate us from those run-of-the-mill removal services that promise much and deliver less is our years of experience of moving pool tables, an excellent team of strong, motivated, and professional removalists, great customer service, and, of course, unbeatable price. We offer other benefits as well, like quick service, free price quote, fixed rate (no hourly rate, and no hidden charges. With that said, the biggest quality that endears us to our customers is our readiness to walk the extra mile to keep them happy and satisfied. We give equal importance to every job and approach it with total focus, dedication and planning. If you have a pool removal need, we have the solution. Contact us! 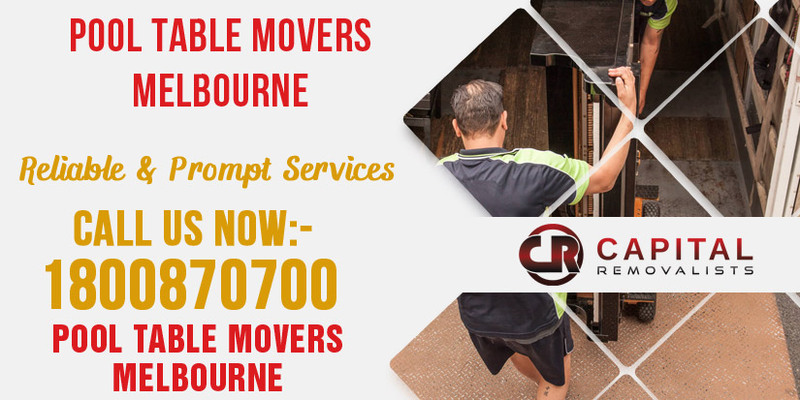 Capital Removalist's pool table movers Process. Once your pool table is packed, it’s time to remove it. We will send a suitable removal vehicle to your location and load the pool table safely and securely into the vehicle. We’ll move your pool table from the initial location to a new location. Upon reaching the destination, we will unload your pool table and safely and securely place it in the correct room. Once your pool table has been moved, we would like very much to know from you about your experience with us. We will request you to fill a performance review form where you can rate our services and provide us with constructive feedback.